Google has some norms and guidelines, it roll-out updates timely to take action and penalize websites if any scrape found. Penalty affects website’s performance in search result pages. If we don’t follow guidelines then it has two types of penalty systems such as Automatic/Algorithmic and Manual. There is a difference between their workings. Let’s discuss little about their proceedings. Panda: This rollout specifically checks the on-page factors of the website/English queries. Penguin: Penguin is used to check the quality, relevancy of the Back-links created for the website. Hummingbird: Hummingbird was introduced and rolled out in 2013. It is specifically a query based roll-out. After this algorithm update SEOs started using variations in their strategies of hyper-linking and long-tail keywords came into the picture. Pigeon: Pigeon algorithm is particularly for local map results. It checks the local pack in the SERPs. EMD: Exact Match Domain shortened as EMD, as the name suggests, it was rolled out to check the websites using keyword as domain to get extra benefit but Google started penalizing those domains. Mobile Friendliness: Google announced this update on April 21, 2015 which was designed to give boost to mobile friendly pages in Google’s mobile search. Manual Penalty: Google Algorithms can identify the huge majority of spam but for the rest Google has human reviewers to review the webpages manually and if any violation to Google Guidelines found then they flag those websites and send a penalty message in Search Console (Google Webmaster Tools) to let the webmaster knows about the issues. 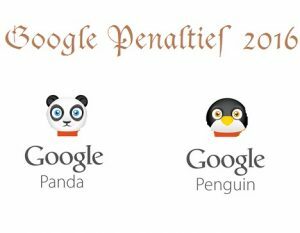 Studying the different types of penalties will give you an idea about what to avoid and do what is best for your website. The basic idea about SEO is to give people who are searching online, high quality information that can solve their problem. Isn’t that what we are all looking for? That is why user experience in a website is important. When site owner plan to build a website, there should be proper on-page optimization done, as without good on-page, your site will fall under Google penalty easily. Therefore, Google and other search engines like Yahoo and Bing are working towards, is to create a good search experience for everyone in the world. So my advise is, know what are the Google penalties and do all SEO according to what is being outline in the webmaster guideline.